“Work. Enjoy. 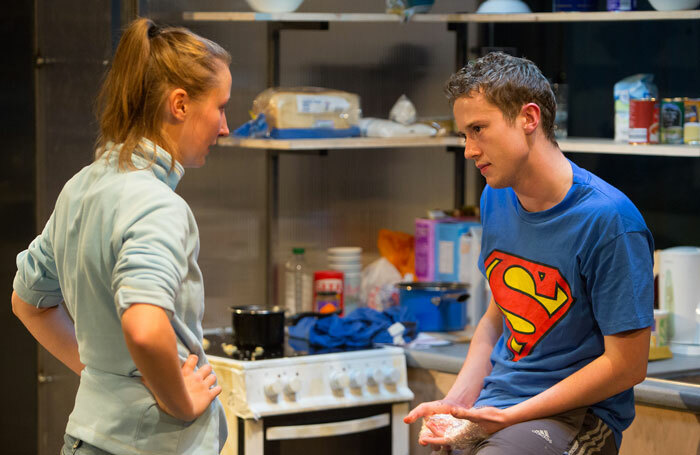 Improve.” A sign above the acting space provides a sardonic counterpoint to the desperate crisis unfolding below in Katherine Soper’s heartfelt and heartrending 2015 Bruntwood Prize winning debut play, which heads for the Royal Court next year. For all its apparent everdayness – a Milton Keynes flat where two teenagers try to make the most of things after their mother has died – right from the start there’s a looming sense that things are about to go seriously out of kilter. Tamsin is trying hard to care for her housebound brother, Dean, who suffers from a form of obsessive compulsive disorder, while she’s simultaneously plugging away at a low-paid zero-hours job and the demands of steering Dean through a disability benefit assessment system that seems stacked against him. This is Britain’s precarious hidden underworld of strugglers coping on an economic precipice. 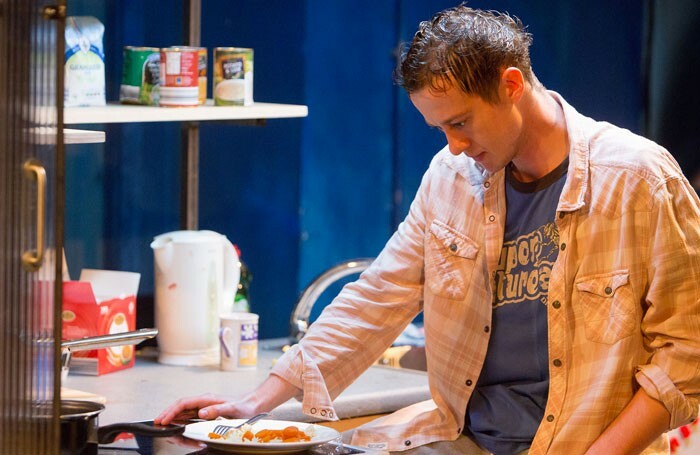 But in Matthew Xia unfussy beautifully acted production the real impact of Soper’s compassionate, funny, moving but quietly troubling writing resides in its un-preachy underlying ticking time-bomb atmosphere of decent young people struggling against their own powerlessness. The writing is extraordinary: deceptively lightweight while filtering personal and social issues through carefully nuanced characters. The acting is exceptional: Erin Doherty delivers a remarkable performance as Tamsin and Joseph Quinn is utterly devastating as Dean facing daily disability meltdown. There’s lovely work too from Shaquille Ali-Yebuah as young friend Luke finding a possible future through college and Aleksandar Mikic as the work supervisor embodying the double-edged cruelty of zero-contract uncertainty.